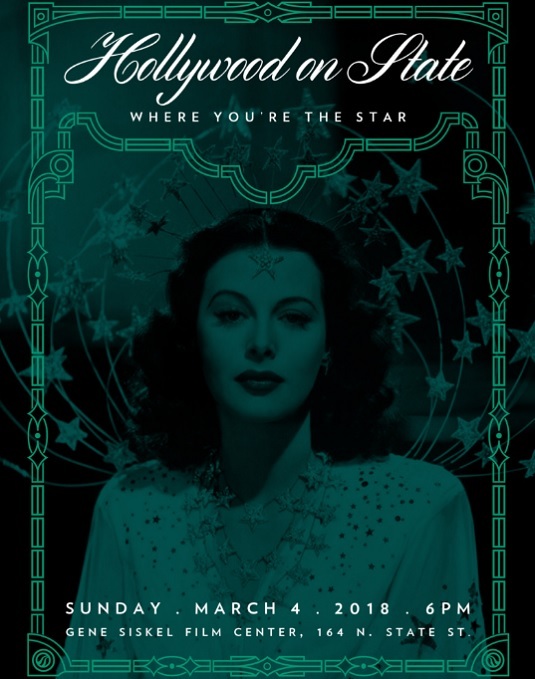 Time is running out to buy your tickets for Chicago’s longest-running Oscar® Party, Hollywood on State: Where You’re The Star! Celebrate the best in food, fashion, and film all while watching the live Oscar® telecast at Chicago’s premier theater. Celebrate with Red Carpet Co-Hosts, B96’s Showbiz Shelly and JNiice! Suggested dress: Hollywood Glam or Vintage Loungewear. Valet parking available. Insider’s Pass includes open seating in either theater, small bites from Chicago’s hottest restaurants, open bar including coffee and tea, desserts from Eli’s Cheesecake, photo booth, opportunity to win incredible auction/raffle items, and a goody bag. All of this for only $100. Don’t miss this spectacular Oscar Party! Purchase Tickets online or call 312.846.2072 for more information. At this year’s event, filmmakers Tracy Baim, Nicole Bernardi-Reis, Kelly Richmond Pope and Dinesh Sabu will be recognized for their excellent work in film and dedication to Chicago.